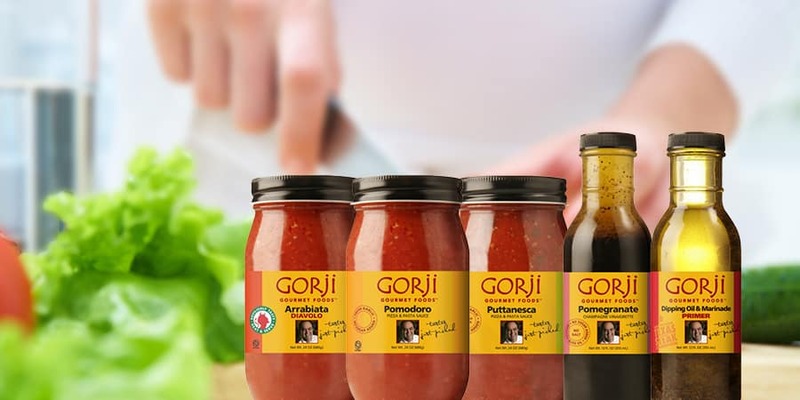 Chef Gorji began bottling his Gorji Gourmet sauces in 2006, in response to demand from customers at Gorji, recognized as one of the best restaurants in Addison. Diners often described them as “Tastes Just Picked,” so that became the slogan for his product line of Mediterranean-inspired foods. Each recipe has rich and complex flavor, as if you have simmered it on the stove for hours — yet it just takes minutes to heat and combine with your dishes, creating a gourmet meal in minutes. Gorji Gourmet products have won a total of 27 Awards in Zestfest and Scovie blind judging food competitions.